West Bend, WI – March 20, 2014 – Wisconsin Equine Clinic and Hospital and Old Seoul Equestrian are pleased to announce the clinicians for the 2014 Wisconsin Equine Derby Weekend to be held August 15th-17th at the Washington County Fair Park in West Bend. Diane Carney of Hampshire, IL will be the jumper clinician this year. 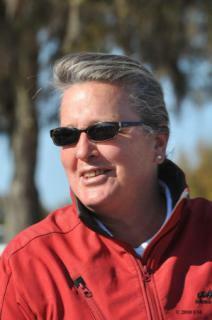 Carney is a USHJA Certified Trainer and “R” rated judge in hunters, jumpers and equitation. Carney has judged the $500,000 Hits Hunter Prix Final, the Winter Equestrian Festival, and numerous IEA and Intercollegiate competitions. Carney also gives clinics for hunters and jumpers throughout the country including California, Arizona, Ohio and Chicago and is a member of the USHJA Zone 5 Committee. Her expansive resume includes riding with Wilson Dennehey and George H. Morris as a junior and competing at Spruce Meadows in the International Ring and Madison Square Garden. Carney has had numerous students qualify and compete in the Medal and MaClay finals, USET Finals, Devon and the jumpers at the Pennsylvania National and the National Horse Show. She has coordinated the George H. Morris Chicago clinic for 25 years and will also be the coordinator for the George H. Morris Gladstone Program for Chicago this June. Carney will also be one of the judges for the hunter derbies on Saturday. The hunter clinician this year will be Steve Wall of Santa Barbara, CA. Wall has been in the horse business for over 40 years and operated Harmony Farms in Waukesha, WI for 27 years. Wall has been a USEF “R” rated judge for over 25 years, officiating at over 25 horse shows a year including the Devon Horse Show, The Washington International, the Pennsylvania National, the Royal Winter Fair and the Chicago Hunter Derby. Wall has a unique perspective on the industry having participated as a rider, trainer, horse owner, farm owner, judge, clinician, horse show manager, committee member and parent. He has trained all levels of riders from pony kids and juniors to amateurs in both the hunter and jumper rings. Wall will also judge both the hunters and jumpers for the weekend. The event features a day of clinics on Friday, August 15th from 2’6” to 3’6” for both hunters and jumpers followed by a ChicagoEquestrian.com Pizza Party and Four Bar Class. Saturday, August 16th features Hunter Derbies at all heights followed by the Walsh Products $2500 Mini Prix and Wisconsin Equine Clinic Exhibitor Party. Sunday, August 17th will feature a day of Jumper Derbies at all heights and a brunch. Prize money is offered for all classes and there will be shopping, a dog show and special presentations and displays by Wisconsin Equine Clinic. Please email Cshayden@yahoo.com with your address for a prize list, sponsor opportunities and/or to make your reservation. Prize lists will be available toward the end of June.